Hospira Inc., a Pfizer company, recently announced a voluntary recall of “…one lot of 25% Dextrose Injection, USP, (Infant) pre-filled syringe to the hospital/user level due to the presence of particulate matter, identified as human hair, found within an internal sample syringe.” Fortunately for patients, hospitals and Hospira, no reports of any adverse events associated with this issue have been received to date. Drug recalls are often a critical patient safety issue. To keep up with the ongoing volume, many hospitals have developed standards and best practices to help ensure patient safety. To protect patients and ensure recalled drugs are removed completely and promptly, many hospitals and pharmacies are using RFID technology, such as Intelliguard® RFID Solutions. Drug inventory management solutions, like the Intelliguard® Kit and Tray Management System, use RFID healthcare technology to enable hospitals and pharmacists to gain instant visibility of all drugs throughout their system in real time. Because of the visibility and accuracy RFID provides, medications are easier to find —and easier to remove in the event of recalls, expirations, etc. 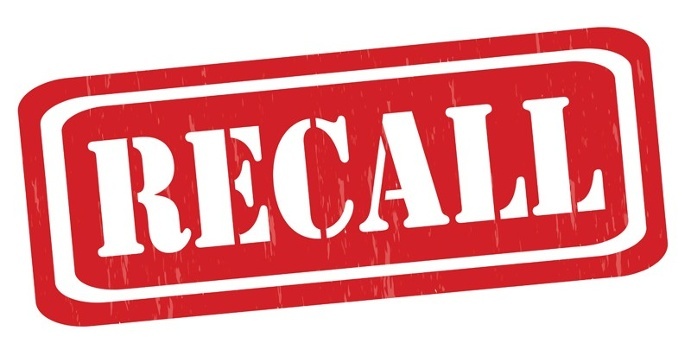 In short, RFID removes much of the stress from the recall process, reduces the risk for errors and saves pharmacists and staff a significant amount of time and energy. Because the Virtual Logbook stores and provides instant access to all of this information, pharmacists and technicians are able to quickly and easily locate any drug, kit, tray or cart – anywhere, anytime, for any reason, whether there is a drug recall, expired inventory, or it’s simply time to conduct monthly inspections. Users can search for recalled drugs by lot number or medication name. When a search reveals a recalled drug, users can flag the medication in the system and run a “Recalled Medication Report” that provides the location, quantity and status of all instances of the recalled drug in the hospital. RFID technology in health system pharmacies automates, validates and eases workflow processes to cut back on response times and reduce the occurrence of human errors. In recall situations, time is frequently of the essence. Enterprise visibility of inventory and machine verified workflows allow quick response and prevent mistakes or oversights that can cause a hazard. To learn more about how RFID healthcare technology can benefit your hospital pharmacy, download our free whitepaper, The Risk of Relying on Human Perfection. If you have any questions about the Intelliguard® Kit and Tray Management System or Virtual Logbook, or how RFID technology can better help you manage drug recalls, please contact us.